Justin Mathis is an active teacher, performer, and Classical music advocate. 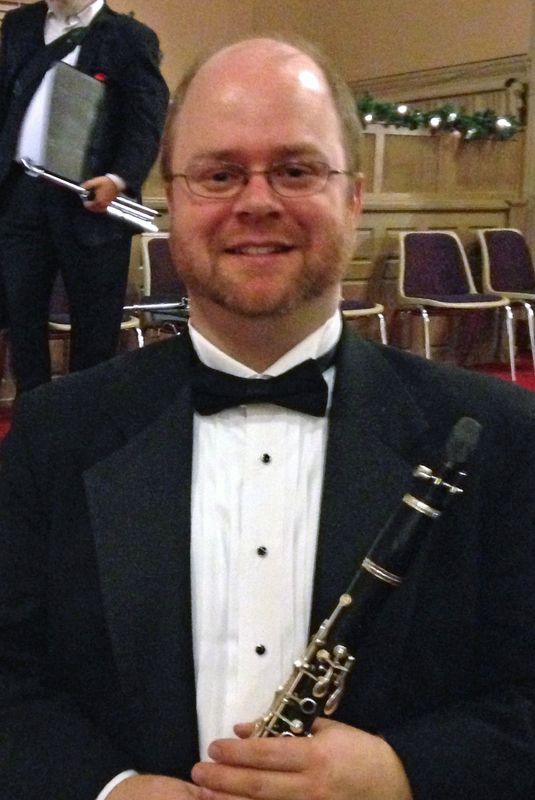 Besides teaching clarinet at Colorado Christian University, Mr. Mathis is principal clarinetist, assistant conductor, board-member-at-large, and web master for the Denver Pops Orchestra. Having performed in church choirs growing up, Justin Mathis began clarinet in 6th grade and fell in love with the instrument. He studied clarinet performance with Daniel Silver at the University of Colorado at Boulder and went on to earn his masters degree in music education from the University of North Texas, where he studied with Daryl Coad. Mr. Mathis lives in Arvada with his wife, Dawn, and sons, Bennett and Miles. To view Justin Mathis’ resume, click here. Hommage a Manuel De Falla is Bela Kovac’s tribute to a Spanish composer who is known for writing fiery solo guitar pieces. This work for clarinet imitates that style and is very fun to play. The following clip is an example of a music technology project mixing together various orchestral and choral works using Pro Tools. It is entitled Chaos and Order and includes works by John Adams, Igor Stravinsky, Samuel Barber, and Richard Strauss. Since it is not always possible for every instrument to be available to perform great repertoire, Mr. Mathis has written arrangements and made adjustments to parts in order to fit his and his ensembles’ needs. This is Sure on this Shining Night for voice and piano by Samuel Barber for flute, clarinet, alto saxophone, and bassoon.